Best of 2015 Awards | Vote! 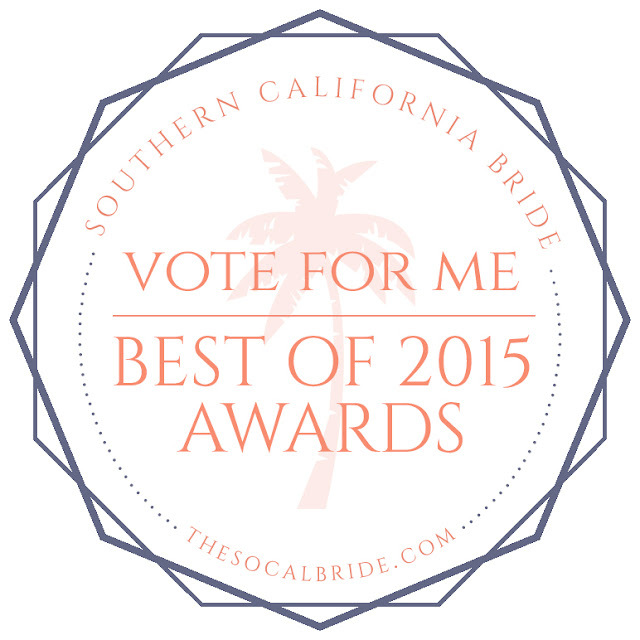 We're on to our final round of our annual BEST OF 2015 Southern California Bride Awards! We received THOUSANDS of nominations and we've got the top nominated wedding professionals in each category right below! All of you have to do is select your favorite (or favorites) and that's it! Please only submit ONE form per person. Wedding professionals: you may grab the "Vote for me" badge at the bottom of the page. Good luck to everyone! Form closes in 2 weeks. Winners will be announced mid-November.